Research shows that for the majority of people, maintaining employment is an important part of their overall wellbeing. That is why our monthly Workplace Wellbeing support group offers practical support and advice on how to stay well at work. 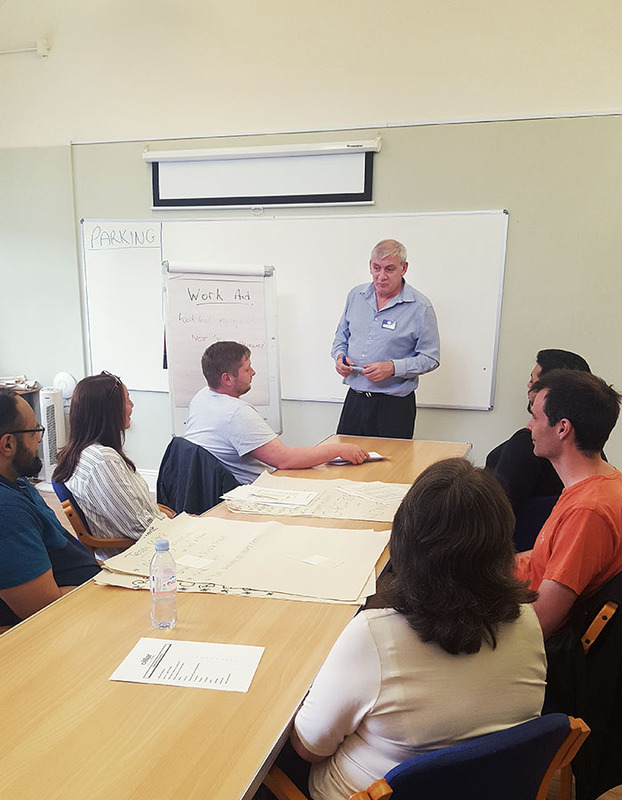 Usually around 20 people join us for each Workplace Wellbeing group; it’s a relaxed, informal and supportive atmosphere where people share their experiences and support each other. What happens at a Workplace Wellbeing session? Workplace Wellbeing sessions are held on a monthly basis and typically last two hours. They usually begin with a light refreshments which sets up a relaxed, social atmosphere for the evening. This is followed by a presentation and discussion on topics themed to help you to manage your health and wellbeing while in employment. The second half of the evening is a peer support session, giving you an opportunity to discuss problems you may be experiencing either in work or as you considering returning to work after having time off sick. Where is Workplace Wellbeing held? Workplace Wellbeing is held once a month at different locations throughout the area. See “How to book” for a list of dates and locations. Who can attend Workplace Wellbeing? Sessions are free of charge (including refreshments) but you must book a place in advance; there are 20 places available per session. Click on the date of the event you wish to attend. This will take you to our eventbrite page and you can book your ticket.